Akbuk became a township in 1991 and is developing quite nicely just as planned. Most of the infrastructural work has been done. Clean roads, beautiful and very calm beaches welcome you to Akbuk as it is an ideal resort for those who love quiet times alongside water sports. retirement. It has been explored by tour operators in recent years. 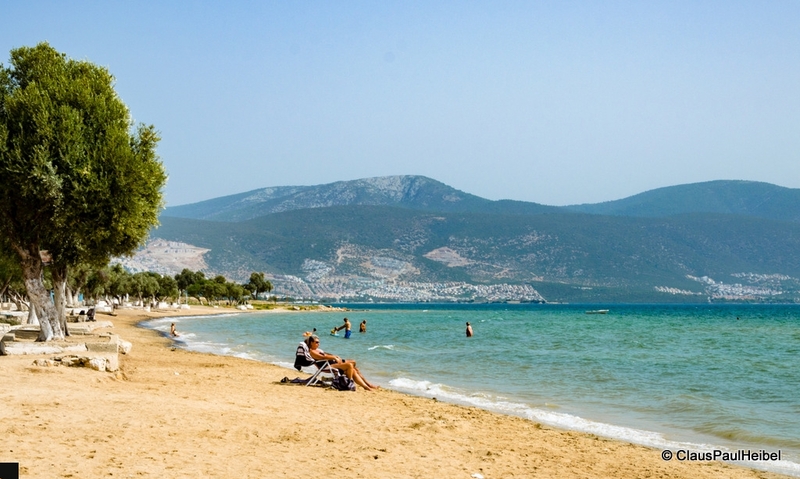 Weekends are the busiest time for Akbuk shores like another sea side town Altinkum. Early in the morning or late the night amateur fishermen trying to catch biggest sea-bass or seabrim on the shores of Akbuk. Sometimes they are coming from along journey to catch fish here. There are fish farms located on the south west direction of Akbuk Bay which are bringing very good income for Turkeys economy. Total lenght of the beach is 11 kilometres for Akbuk. Amateur fishermen especially prefer to go near to where fish farms used to be. Just incase if there no fish, they can buy from the outlets of some fish markets. CUPRA is a delicious kind of fish. 400 – 500 gr. each approximately. SARIYANAK KEFAL is another type mullet fish to be tried. Both you can grill or fry with olive oil. 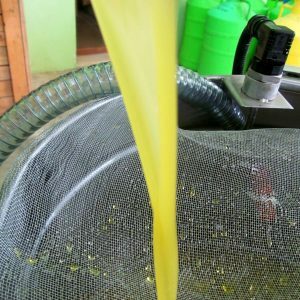 While grilling fish or meat or chicken you can pour olive oil brought from olive trees along the mountains of Akbuk. And settle for 20 min. for better taste. Here on this page we have a photo of CUPRA fish plate. SARIYANAK Kefal (is a kind of mullet) is longer and thinner than CUPRA (pronounces as Chouproa). SeaBrim CUPRA delicious fish of Akbuk. The economy related tourism in recent years has made available the local fishermen’s boats for boat trips along the coasts of Akbuk for the duration of the summer months. During your visit to Akbuk, the chapel on the coast line close to the town center is very well preserved and can be visited since it is open to the public. There are big holiday resorts, 3 star hotels and also one 4 star hotel, along with one resort for French tour operators rated at 5 stars; There are also small pensions, motels available during the summer season. Restaurants by the sea, serve delicious fish and local food that should not be missed, which all can be had at reasonable prices. There are local transport minibusses with a sign post “Akbuk Birlik” runs in every 20 minutes between Altinkum – Akbuk and in every 20 minutes between Soke – Akbuk. If you are travelling from Izmir to Bodrum; second crossroad after Didim turn a nice climb before lake bafa on the right, you will see sign post indicating AKBUK also Didim. Akbuk sahiliYou can take look at our how to get to Didim page and detailed Didim Map for a better explanation. There are number on the first map 1 -2 – 3 showing turns from Bodrum Izmir road to Didim – Akbuk side. Number 2 is the turn for Akbuk from Bodrum or from Izmir. After turning right keep driving you will aproach another crossroad the turn for Didim city center on the right. But for Akbuk, just ignore it and keep driving will take you to big hotel complexes ie. Caprice hotel, Holiday Resort. Then you will see Sapli Ada (an island) on the right. After Sapli Ada last stop will be Akbuk City center. Theres also a pass way to Iassos ancient town which most jeep safari excursions organized to, and Bodrum highway connection followed by.